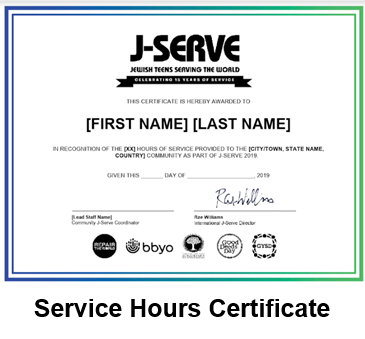 J-Serve Is The International Day Of Jewish Youth Service. Since 2005, J-Serve has provided teens with a unique opportunity for teens to band together through service as a united global network committed to fulfilling the Jewish values of gemilut chasidim, acts of loving kindness, tzedakah, just and charitable giving, and tikkun olam, the responsibility to repair the world. Every year, Jewish teens worldwide join each other on this special day and throughout the spring to make their community and the world a better place. J-Serve is a collaborative effort run by BBYO in partnership with GOOD DEEDS DAY, REPAIR THE WORLD, and YSA's GLOBAL YOUTH SERVICE DAY. The initiative is generously underwritten by The Charles and Lynn Schusterman Family Foundation, among others. Community Micro Grants for J-Serve 2019 are now available! In an effort to empower a growing number of communities around the world to participate and expand their #JSERVE2019 programs, micro grant funding (up to $500) is now available. *NOTE: the Global Projects grant application is now available in English, Spanish, Russian, Hebrew, German. Please review whichever application form best corresponds with your home community and apply accordingly. All submission deadlines, evaluation criteria, and other key considerations are included within the application form. In honor of J-Serve's 15th anniversary in 2019, we're expanding the initiative's focus this year to include all forms of meaningful social action. Participating communities - including all grant applicants - are encouraged to explore new opportunities to engage a broader range of local Jewish teens by highlighting the value and impact of philanthropy, advocacy, community organizing, life skills training, and more in connection with/instead of traditional direct service (read more here: bit.ly/aboutjserve2019). Whether you're a seasoned J-Serve pro or brand new to the network, we welcome all relevant applications from near and far! ENGAGE with existing J-Serve projects in your community to see how you can get involved. Check out the list of available projects (see list below) to register today, where applicable; or talk to your local Jewish youth professional for more information. Can’t find a project near you? No worries – what a great opportunity to build your own (see Step #2, below)! CREATE your own J-Serve project designed to serve whatever cause is most important to you. 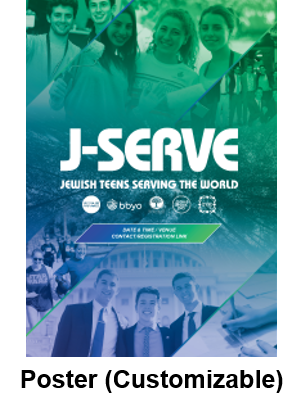 No teen service is ever too big or too small, so be confident in your vision and seek out support from J-Serve leadership (email info@jserve.org) and/or a local Jewish youth professional where needed. If you need financial support to get your project off the ground, you can apply for a J-Serve Micro Grant of up to $500 (see 2019 application above). SHARE your basic project information once confirmed (email details to info@jserve.org) to get plugged into the broader J-Serve international network! The more we know about your plans, the better we can help support you along the way. REGISTER your project online to encourage Jewish teens in your area to sign up and share their key information (name, cell, email, grade) in advance for your event! You can create your own online registration form using a free platform like Google Forms or SurveyMonkey, or you can request help from J-Serve by completing a 2019 Local Project Registration Request Form. MARKET your J-Serve event far and wide, through all available channels: use our template resources (below) to create postcards, flyers and posters to post in popular Jewish and secular community centers; drop our email header into a note you can push out to Jewish teens/parents in your community to invite participation; change your Facebook profile and cover photos to our J-Serve images to bring awareness to your program, while tagging J-Serve on Facebook and #JSERVE2019 on Twitter and Instagram. CONTACT prominent local leaders and/or elected officials to invite them to join in your service efforts as part of your local J-Serve project. Engage with the key gamechangers in your community as an exciting (and easy!) way to help amplify your event! Not sure where to start? 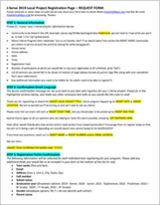 Check out this Community Leaders Local Program Invitation TEMPLATE; customize and send early and often! CONNECT with the broader J-Serve community by liking the J-Serve Page on Facebook, and be sure to post key photo, video and personal quote highlights directly from your event. CELEBRATE your success by sharing all your best action photos, video clips, press coverage and/or teen testimonials on social media (again, tagging J-Serve on Facebook and #JSERVE2019 on Twitter and Instagram). Let us help you spread the word about your accomplishments by sharing all of the above with J-Serve International. Have a J-Serve project idea for your community, but still have questions? Contact Rae Williams, International J-Serve Program Director, for more info on how to get started and other available support! Ready to get started? Check out the J-Serve Project Planning Toolkit! 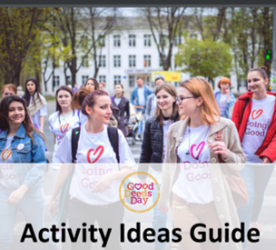 Develop a plan to bring big teen service ideas to life by raising awareness about a project, creating a meaningful experience for participants, and keeping in touch with everyone involved. 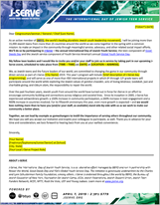 Broken down into five main sections (Visioning > Planning > Promoting > Hosting > Follow Up) to support you throughout the process of building your J-Serve experience - plus an Appendix w/ handy tables and charts - we hope this resource will serve as a useful reference guide for teen project coordinators and professional staff alike. 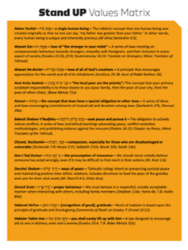 Dive in, bookmark it, share it with friends... enjoy! check out AVAILABLE J-SERVE program AND marketing resources below! Check out some of our favorite J-Serve event photos here! Check Out the Latest J-Serve Resources to Support Your Local Project! 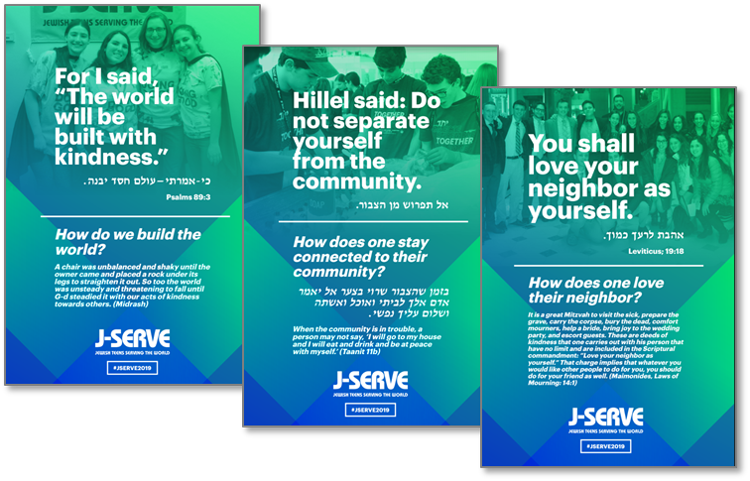 Whether you're looking to deepen your Judaic and/or service-learning program or ready to market your J-Serve project far and wide, take a look through our available resource collection, brought to you by a compilation of many of our leading partner organizations. Take your #JSERVE2019 event to the next level by playing only the hottest J-Serve Jams to welcome your participants and celebrate their great work throughout the day. *Check out the official #JSERVE2019 Spotify Playlist here! **Learn from the Pros: review sample teen leadership structures, project planning tools, mini-grant applications, service activities, and reflection resources from past J-Serve projects here. **Learn from the Pros: check out event flyers, save-the-dates, and other marketing samples from past J-Serve projects here. Adas Israel - Washington, D.C.
Beth Ami - Washington, D.C.
Like our page on Facebook to follow all the latest J-Serve news!